Layered Top belted over a crochet dress. This is perfect for summer meals by the lake or the beach, oh how I miss the beach! 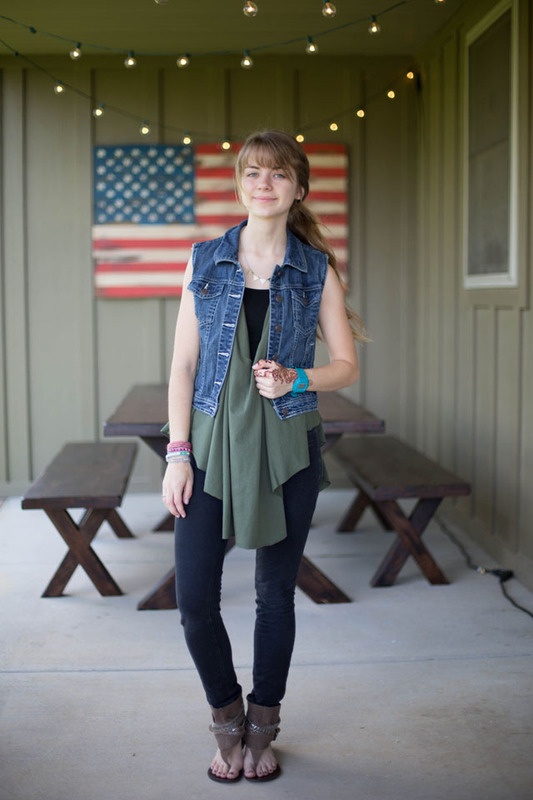 Layered Top under jean vest. I would wear this out shopping at the market and running errands. 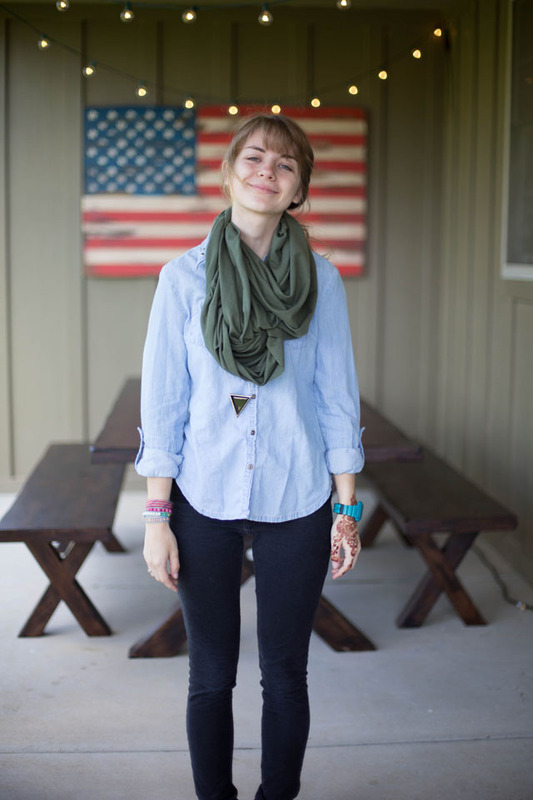 Layered Top styled as a scarf. I love casual clothes that I can put on without thinking too much about, I would wear this top as a scarf on lazy days or out to lunch. Layered top belted over lace top & jean shorts. I would wear this to a bonfire with friends. 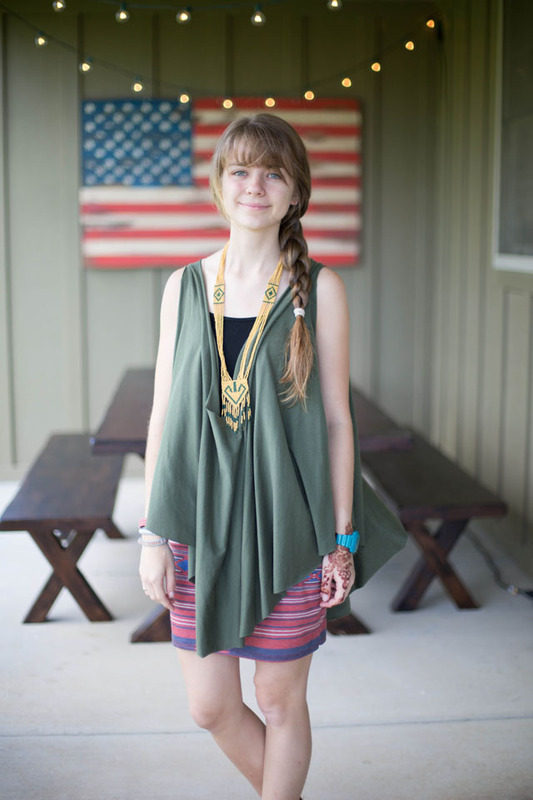 Layered Top over patterned skirt. I'd wear this outfit to dinner or church. 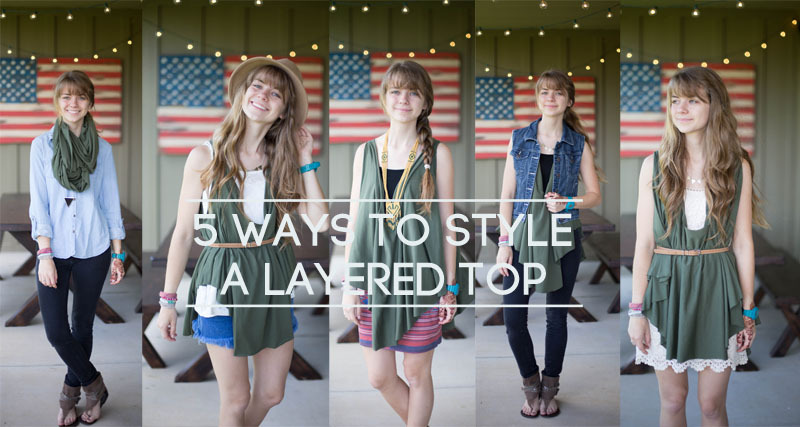 Learn to make your own Layered Top here. This list is not exhaustive and maybe when the colder months come around I can share more ways to style...but lets soak in the hot summer days for now. P.S. that awesome picnic table and American flag was made by my sister, Alex, and brother-in-law, Aric! That's it I need to make this top. I love all of these ways, and these photos are so cute! So cute! I will definitely be making one of these. Also I love your shoes in the second outfit! This is an adorable idea! I am a huge fan of laying and belted tops, and I cannot wait to try these styles! You are too too cute! :) Love this!